Bajaj has been testing the new updated Dominar extensively on the Indian roads. The new, refreshed model is expected to be launched early month and will get a slew of major updates. 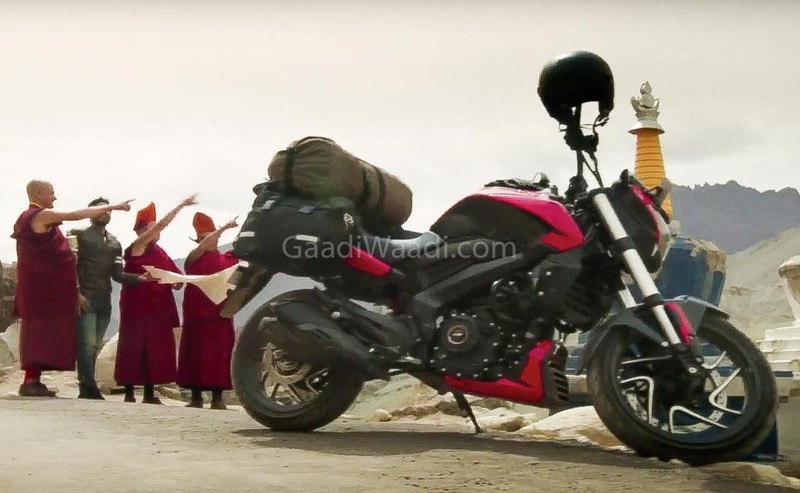 The bike has been caught testing several times under a heavy camouflage and now, here is an official video that reveals all about the upcoming 2019 facelift model. The new Bajaj Dominar 400 gets many feature updates. From the video, it is clear that the new bike gets upside down front forks replacing the current telescopic forks. It also gets a new dual-barrel exhaust that seems to have taken inspiration from Ducati Diavel. Bajaj has also updated the full-LCD instrument cluster that is now brighter and shows much more information than the current version of the bike. To keep the engine running cooler, the radiator size has also been updated and it is now larger than the existing model. Mechanically, the Bajaj Dominar is expected to remain similar to the current model. It will remain powered by the same 373cc, single-cylinder, liquid-cooled engine that has been derived from the KTM 390 Duke’s engine. The engine currently produces a maximum power of 35 Bhp and a peak torque of 35 Nm. It will likely to offer the same engine and torque output even after the update. It gets a 6-speed manual transmission. With the new safety regulations coming up. Bajaj will not offer the non-ABS version in the market anymore. From 1st April 2019, the sale of any two-wheeler with engine capacity above 125cc without ABS would be banned in the Indian market. Bajaj will only offer the dual-channel ABS version of the bike. The price of the Bajaj Dominar is also expected to rise by a bit due to the new changes. The updated model is expected to go on sale by the end of this month with an ex-showroom price of around Rs. 1.6 lakhs.